Hypothermia (colder than normal body temperature) and frostbite can happen to anyone who is not properly protected from the cold. Hypothermia occurs when the body temperature falls below 95 degrees F. The normal body temperature is 98.6 degrees F. In the early stages, this may cause memory loss, confusion and shivering. Eventually, a low body temperature may cause cardiac arrest and death. 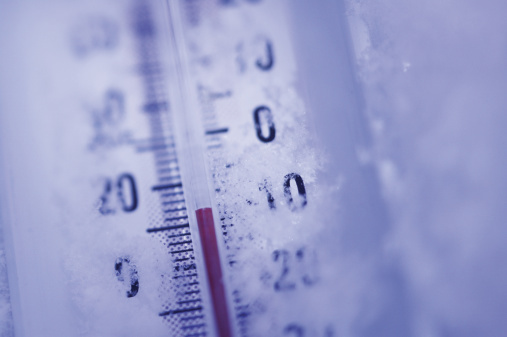 Signs of hypothermia include slurred speech, reduced coordination, shivering and poor judgment. An infant may appear to be less active. The best way to prevent hypothermia is to protect the body from the cold. Frostbite also can occur in the winter months. When exposed to cold, the body tissue freezes. This affects the body like a burn. The hands, feet, ears, cheeks and nose are the most commonly affected areas. Signs of mild frostbite include yellow or gray patches on the skin. After the skin is warmed, it becomes red and flaky. In more severe cases, a blister or sore, swelling and pain may develop. If you suspect mild frostbite, bring your child inside and remove wet clothing. Gently dry the affected area. Do not rub the area, as this may cause more damage. Warm the affected area by immersing it in warm water (104 to 108 degrees F) for 15 to 20 minutes, or until the color returns. Take the child to an emergency room if there is pain, blistering or swelling. Deep frostbite, often affecting the feet and hands, can be very dangerous. It can lead to infection, severe pain and swelling, nerve and tissue damage, and amputation. Symptoms include cold, waxy and pale skin. When it thaws, the affected area turns blue or purple. Large blisters appear, followed by peeling or gangrene (dark, swollen tissue.) If you suspect severe frostbite, take your child to an emergency room at once.